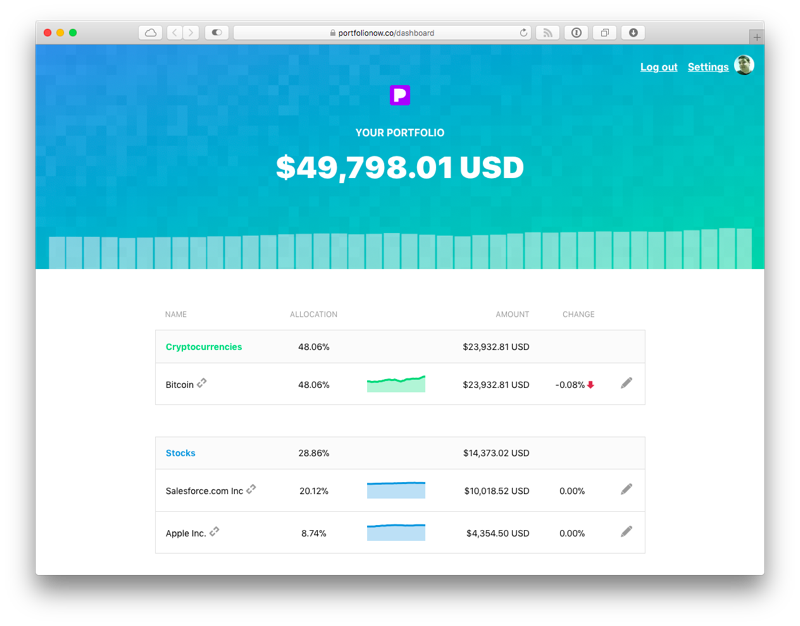 Check your portfolio in one single place. It has support for stock options & crypto currencies. Add your public key and Portfolio will automatically sync your crypto currency balance. Add coins & tokens from exchanges like Coinbase, Kraken, Poloniex, Binance, and more! Add instruments from NASDAQ, Bovespa, and TSX. More to come soon! Track cryptocurrencies, stocks, and even your pocket money! All of your net worth in just one place. Convert all tickers into your own currency. Portfolio currently supports 32 currencies.